Yesterday EURUSD had a small decline since USD gain momentum because of investors’ waiting for Yellen’s comments but rose again later. At the same time EUR was being supported by Draghi’s comments claiming that the rates are not going lower. 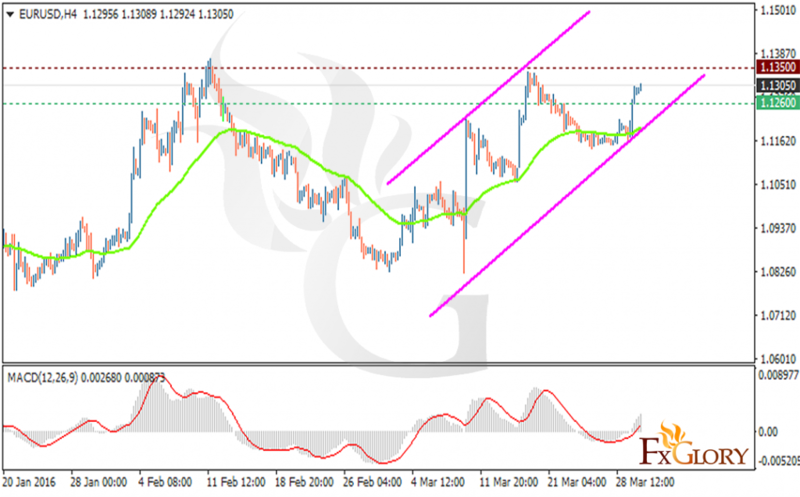 EURUSD is finding support at 1.1260 and resistance at 1.1350 and it seems that the pair is testing the resistance level at 1.1350 and is moving above the EMA 50. If the price breaks this level it will go higher and even may reach 1.15000 accordingly. The MACD indicator is in positive territory showing a price growth. Buyers can target 1.1370 followed by 1.1450.